Keep your shirts on, Captain Ross will return and probably without his. The BBC confirms it has renewed the Poldark TV show for a third season on BBC One. There was little worry that Poldark would be cancelled. Last month, we reported filming had already begun on season three. The second series of Poldark will air on both PBS MASTERPIECE and BBC One in fall, 2016, date TBA. A British drama series set in Cornwall, England, after the American Revolution, the Poldark TV series cast includes: Aidan Turner, Eleanor Tomlinson, Heida Reed, Jack Fathering, Kyle, Soller, Warren Clarke, Phil Davis, Beatie Edney, Ruby Bentall, Richard Harrington, Robin Ellis, Luke Norris, Richard Hope, Alexander Arnold, Pip Torrens, and Caroline Blakiston. (C) Robert Viglasky/Mammoth Screen for MASTERPIECE. Get the details from this BBC press release. After months of speculation it is confirmed that Aidan Turner will be back for a third series of the award-winning hit BBC One drama Poldark. 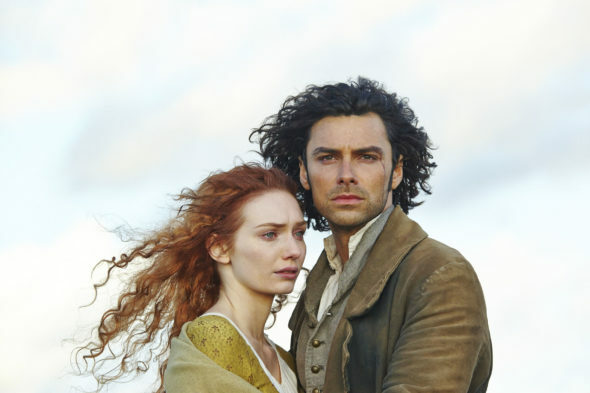 Series two of the hugely popular drama, which is coming soon to BBC One, stars Turner as the nation’s hero Ross Poldark and Eleanor Tomlinson as his wife Demelza, in ten new episodes adapted by Debbie Horsfield from the novels by Winston Graham. And as the drama hits television screens across the UK filming will commence on the next installment – series three – of the Cornish saga. Production company Mammoth Screen has confirmed that Horsfield will be writing further episodes of Poldark, which will be filmed in even more stunning locations across Cornwall and Bristol later this year, for transmission in 2017. 1794: Ross must traverse new family, new loves and new battles, as the French revolution casts a shadow over life in Cornwall. 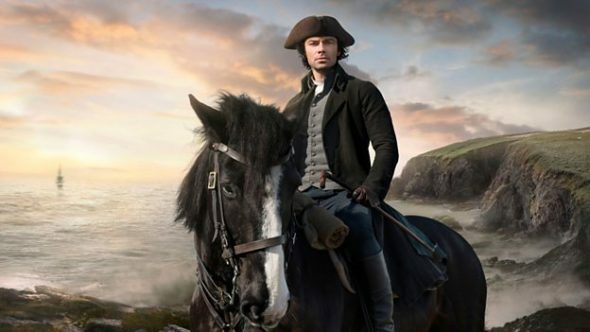 Poldark is adapted by Debbie Horsfield (Cutting It, The Riff Raff Element) the third series will be produced by Roopesh Parekh (The Hollow Crown: The Wars Of The Roses, And Then There Were None) and Michael Ray and directed by Josh Agnew (Mr Selfridge, Law & Order:UK) and Stephen Woolfenden (Fantastic Beasts And Where To Find Them). Debbie Horsfield continues to serve as executive producer alongside Tom Mullens, Karen Thrussell and Damien Timmer for Mammoth Screen and Elizabeth Kilgarriff for the BBC. What do you think? 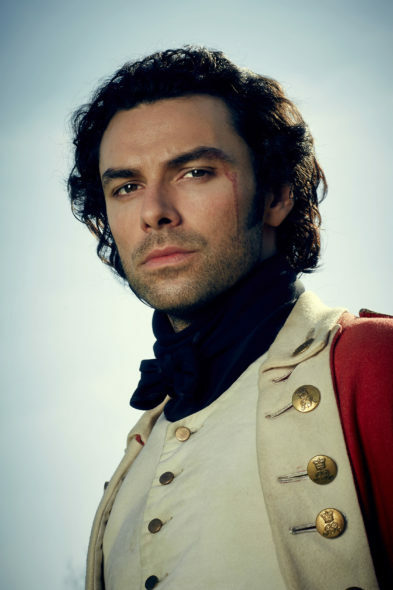 Have you watched the first season of the Poldark TV series on PBS or BBC One? Do you plant to watch the seasons two and three? More about: BBC One TV shows: canceled or renewed?, PBS TV shows: canceled or renewed?, Poldark, Poldark: canceled or renewed? Poldark: Season Three Renewal for BBC One Series? Have been waiting and waiting to hear this news!! CAN’T WAIT until season three starts ❤️❤️!! I love it. Can’t wait to watch it. LOVE LOVE LOVE !!! Can’t wait for season 3 ! so thrilled to learn of return of Poldark!! Not just me but several girl friends! So much to love, not just Aiden Turner—-scenery, plots, story lines, acting, tension, love scenes….Thank you!! Big fan of Poldark looking forward to additional seasons of good writing, wonderful acting and great locations. I love this show. I love this show..have rewatched my blurays over and over. I simply cannot wait for season two. Ross and Demelza Poldark are amazing characters and it is a wonderful and colorful story.